The library is happy to offer patrons the ability to submit projects to be printed on the library’s 3D printer. The 3D Printer can create a physical object based on a design supplied as a digital file. These can be designs you’ve created yourself, or designs you’ve obtained from another source and have permission to use. 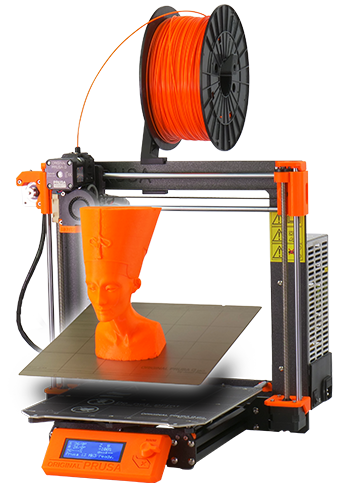 MCPL patrons can use the form below to submit a request that a project be printed on one of the library’s 3D printers, which currently include the Prusa i3 MK3, the Ultimaker 3 Extended, and the Formlabs Form2. Once you submit your request, a library staff member will be in touch with you to arrange for you to send us the design file for the project you’d like to print. Once it is determined that the project to be printed does not violate the library’s 3D_Printing_Policy, your project will go into the queue to be printed. Once it is completed, a staff member will let you know it is available at the library to be picked up. Please see the table below for more information about each printer, and if you have any questions – let us know! Not sure where to start? Choose your preferred color of PLA or PETG.